Mercurii, 5 die Maii; Anno 11 Georgii. IV ti Regis, 1830. 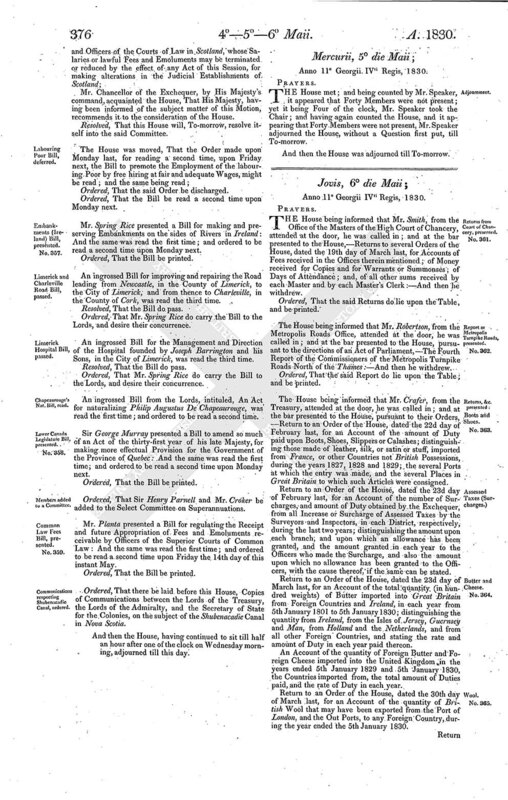 THE House met; and being counted by Mr. Speaker, it appeared that Forty Members were not present; yet it being Four of the clock, Mr. Speaker took the Chair; and having again counted the House, and it appearing that Forty Members were not present, Mr. Speaker adjourned the House, without a Question first put, till To-morrow. And then the House was adjourned till To-morrow.